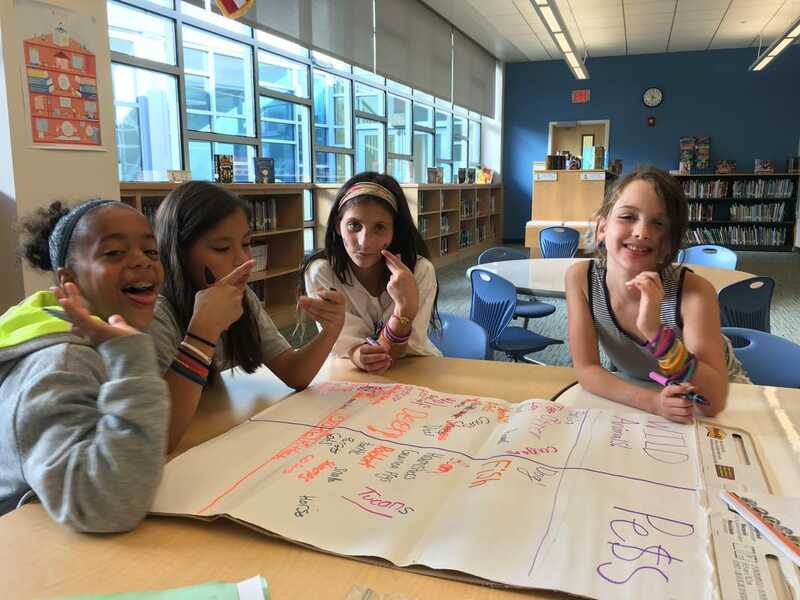 Enrichment and fun, from Daisies to Seniors. Junior Scouts join together for the circus at Harbor Yard. 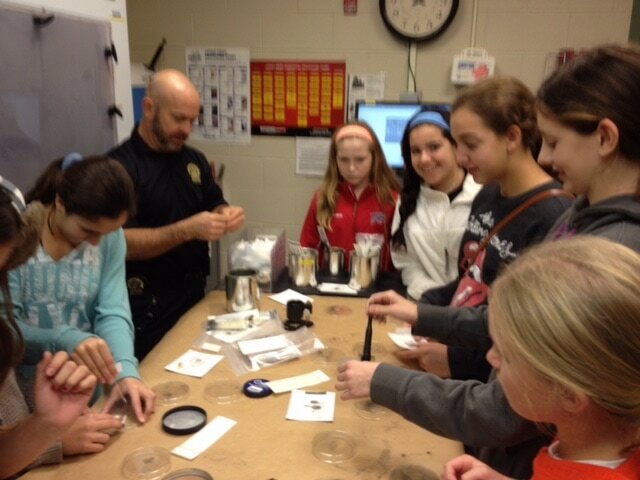 Middle school scouts learn with the Greenwich Police. Working toward a badge, Junior scouts learn about animals. Cookie sales and awards for high school scouts. 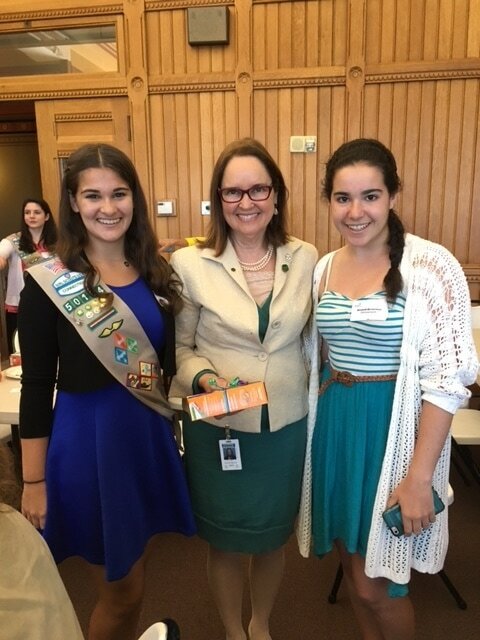 High school scouts with Mary Barneby, CEO of Girl Scouts of Connecticut. 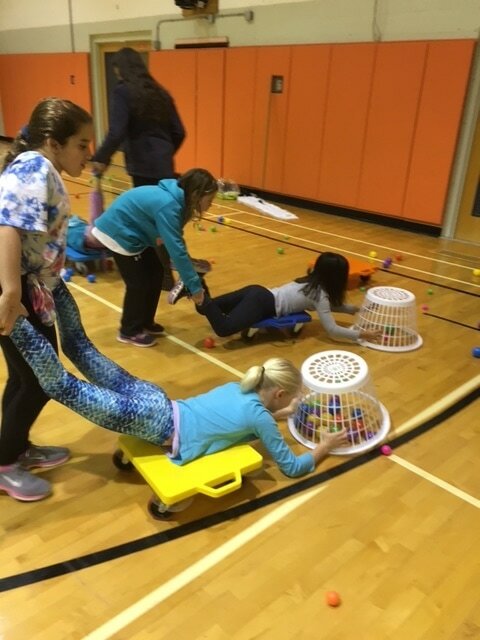 Midnight Madness, organized and run by middle and high school scouts, offers games to promote teamwork among elementary school scouts. Everyone learns so much. 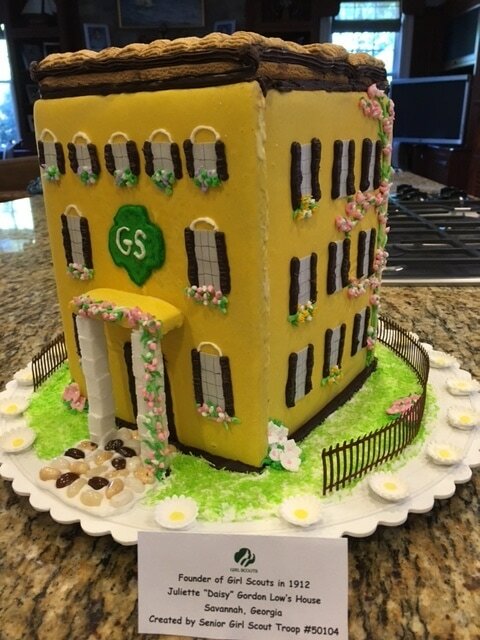 Using their creative talents, scouts contribute a bit of Girl Scout history to the Junior League's annual gingerbread house contest. The Gold Award, which is the highest award in Girl Scouting, is awarded to high school level scouts who complete a rigorous, panel-approved original project which has a major impact in the community. The Silver Award is completed by a Cadette or small group of Cadettes.